Since 1970s, BART has been a transit icon for the Bay Area. BART is also politically popular among the general public and politicians. However, looking beyond popularity and brand, the BART technology is not a suitable solution to many of our transportation problems that we face. Eating and drinking are prohibited on BART trains. BART is powered by a live ground level “third rail,” which requires total grade separation to prevent pedestrians from contacting the dangerous high-voltage third rail. This also means a huge up-front cost before a single BART train can run, whereas, with conventional rail, communities have the option of pursuing grade-separations with trains running in the meantime. All BART trains must be custom-produced, thus limiting the number of vendors and greatly increasing the cost. Conventional rail systems like Caltrain, on the other hand, are able to purchase equipment already designed for other systems. Only BART trains can run on BART tracks. Conventional rail like Amtrak, ACE and Caltrain can run on each other’s tracks. In Southern California, commuter Metrolink trains share tracks with long distance Amtrak trains. That means fewer transfers and more convenient travel options for riders. Service can incrementally improve as infrastructure and funding allows. Because of the high capital and operating cost of BART, its competitive advantage is not serving the outer suburbs or provide inter-regional service. Its urban subway technology should rather be reserved for high density urban environment. Washington Metro, which built at about the same time as BART, carries twice as much riders as BART because its covers the DC urban core better than BART in San Francisco. On the other hand, BART can expand service coverage through standard rail technologies, such as eBART in East Contra Costa County. In fact, most metropolitan rail systems operate various lines that are not compatible with each other (For example, in the New York Subway, trains on the formerly IRT lines [which have numbers] are not compatible with trains on the formerly BMT/IND lines [which have letters].) 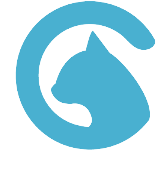 The key difference is that from the customer perspective, the different parts of the systems are just as convenient (similar schedule and fares) and offer common riding experience. As long as BART could provide similar level of service at a similar quality, it can cost-effectively expand service to new areas with more affordable and appropriate rail technologies. 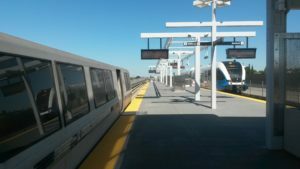 Case in point: BART-to-Antioch (eBART) – BART used off-the-shelf standard gauge technology for the line, but operates at the same service level and provides timed-cross platform transfer to the legacy BART system. BART markets the line as an extension of the yellow line from the Peninsula. While some critics called it the jolly-trolley, the eBART vehicles are state of the art and are smoother and quieter than the old BART cars. The necessity of transfer doesn’t appear to a major barrier. Ridership at Antioch Station exceeded estimates and parking at that station is full. This is evidence that people are less concerned about not having a one seat ride when everything else is equal, and that BART has succeed in delivering a product of comparable quality at significantly less cost. Based on the fact that the BART board voted down the BART to Livermore project in May 2018, the VTA-led extension to Santa Clara County will be the final extension of BART’s wide gauge system. 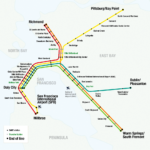 While a possible a 2nd Transbay Tube could include wide-gauge BART tracks, such project would require an extremely significant investment, not just the tube itself, but also tracks and storage yards in San Francisco, which seems highly unlikely given the magnitude of cost and the funding available on the horizon. On the other hand, there are plenty of opportunities to improve integration and coordination with the standard gauge rail lines that currently or will interface with BART (with eBART being the best example of integration). If the political and funding differences can be resolved, it is possible that they can all be merged under a single transit agency or transit brand. Warm Springs/Berryessa/Santa Clara County extension Oppose. VTA has failed to demonstrate that it can afford to build and operate the project without negatively impacting local transit service. The project is not aligned to serve the employment centers and San Jose Airport, instead it is aligned to serve real estate interests. Instead we recommend Caltrain Metro East. Livermore extension BayRail supports extension alternatives that are aligned to serve Downtown Livermore and connect with ACE during the initial phase of the project (if phasing becomes necessary). BayRail opposes alternatives that align only on 580 and would connect with ACE by Greenville Road. Would support standard-gauge, off the shelf technology such as DMU over the legacy BART technology. BayRail supports the choice of a standard gauge diesel light rail technology instead of the legacy BART technology. However there should be better land use integration to boost ridership. We believe that bus rapid transit should deliver equivalent or better transit experience at less cost. BART should’ve treated all transit modes seriously in its evaluation.